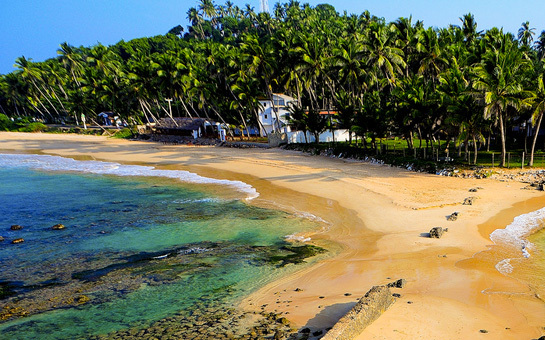 Venture out from your beautiful villa, and spend your day lounging on the fine, golden sand at Mirissa Beach. 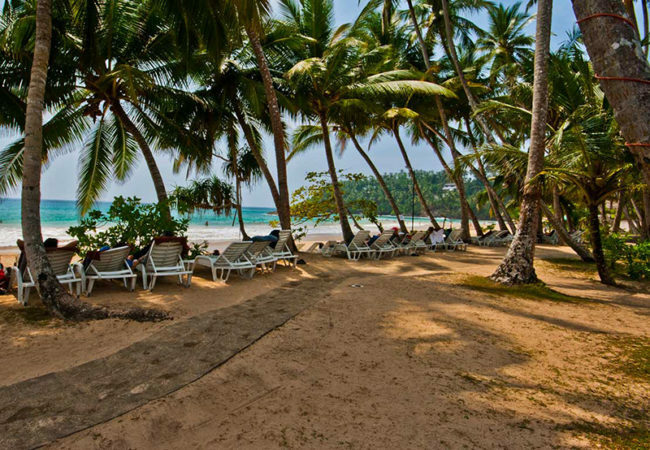 Apart from chilling out by the beach, Mirissa also offers a variety of attractions and activities. It is regarded as the best spot for whale watching in Sri Lanka, as well as a surfers’ haven for experienced surf enthusiasts. At the end of a long day outdoors, grab a bite at one of the beachfront restaurants. You will have plenty of choices, ranging from seafood and local Sri Lankan fare, to a variety of international cuisines. If you prefer an intimate dinner, stay indoors to enjoy a well-made dinner in the privacy of your villa. 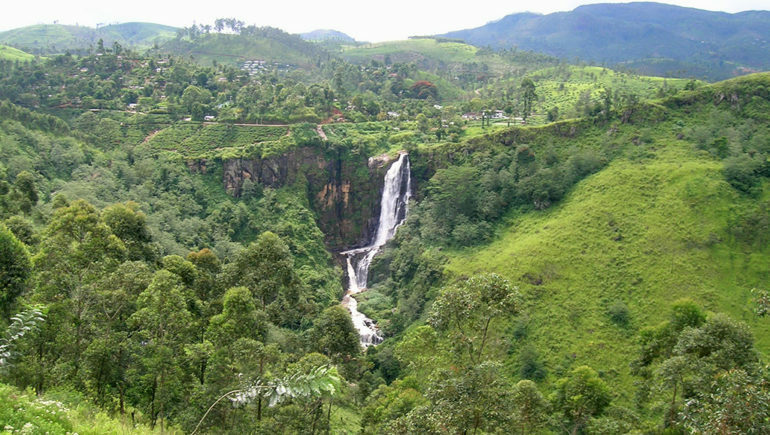 Located at a convenient spot, Mirissa is also a good starting point for day trips and excursions to popular nature attractions such as the Yala National Park. Yala National Park serves as a nature reserve, as well as a national park. It is divided into five blocks, two of which are accessible by the public. The commodious grounds of the park has a land area measuring 130,000 hectares, and is home to a diversity of flora and fauna. Visitors at the park are spoilt for choice, for they will have a plethora of activities to choose from. 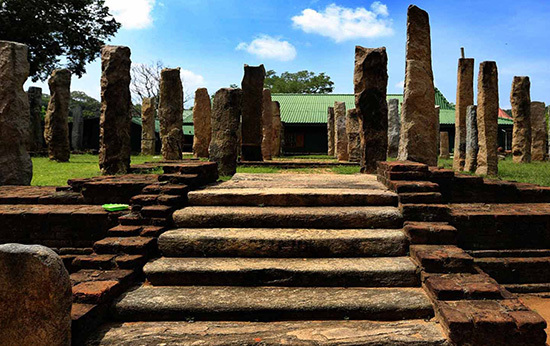 Cultural buffs should not miss out on a visit to the Sithulpauwwa Rock Temple. The site serves as an important pilgrimage center for Buddhist devotees, and houses an impressive selection of stupas, Buddha statues and intricate paintings. 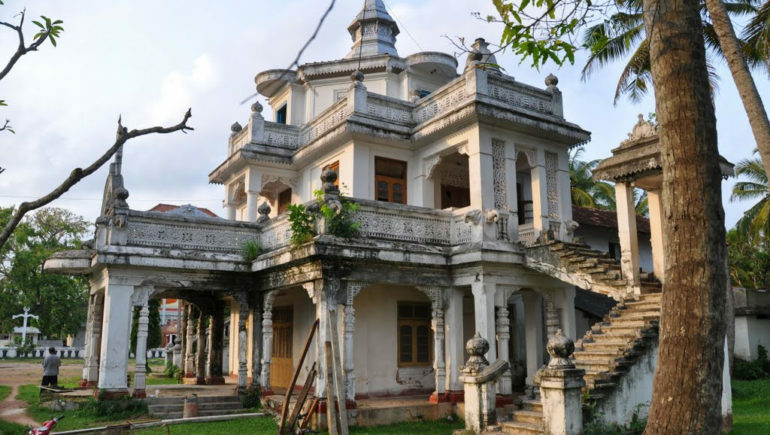 Do also make a stop by the Magul Maha Viharaya, and you are sure to be enthralled by the sight of the beautiful structures and architecture in this pilgrim site. Animal lovers will delight in hopping on a jeep for an adventurous safari ride through the park trails. Bird-watching enthusiasts should keep their eyes peeled for sightings of rare bird species in the grounds of the park. Villa travellers in Mirissa, grab your chance to get up close and personal with the magnificent creatures of the sea by embarking on a whale watching tour! The Thinuli Tea Center is well worth a visit for tea lovers. Villa travellers will find a multitude of teas available in the shop for sale and tasting, and appreciate the owner’s warmth and sincerity as he takes you around the center, and shares his extensive knowledge of teas with you. Prices are reasonable, and are possibly sold at a fraction of prices of teas in plantations and stores elsewhere. It will be impossible to leave Thinuli Tea Center without purchasing bags of fragrant tea leaves. Release the knots in your tense muscles, and relieve the stresses of your mind by joining a rejuvenating session of yoga! Pop by a yoga center for a short session of stretching or meditation, participate in a retreat, or engage a yoga teacher for a private class in the comforts of your villa. Soothe your senses with the calming scents of aromatic essential oils, and relax as you indulge in a restful spa treatment. Villa travellers will be left in good hands at Badora Spa. 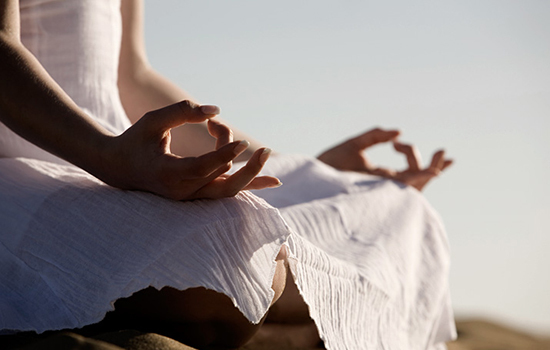 The owners and his team are attentive and professional, and offer services such as a calming chakra balancing massage. Villa travellers reluctant to leave the cosy comforts of their private abodes can engage the services of private massage therapists with the assistance of their villa manager. 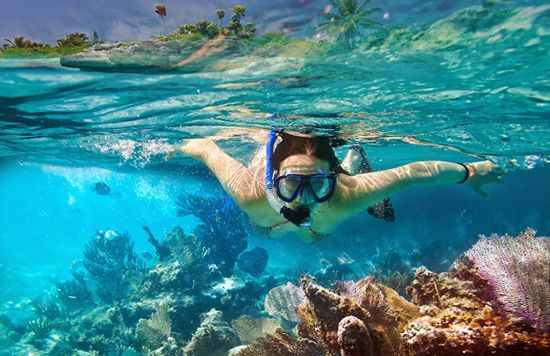 Water sports enthusiasts keen on snorkeling should venture to the eastern and western ends of Mirissa Beach. Snorkelers at the western end of the coast should keep a lookout for incoming surfboards, as the area is popular among surfers. Those in the eastern areas of the beach should remain alert and watchful for strong currents and rip tides. Mirissa Beach is a hotspot that attracts hordes of surfing enthusiasts. The western end of the beach is particularly popular among surfers. Head down to the beach in the early hours of the morning, or during the late afternoon to experience the best waves in the sea. Tucked away from the bustling streets of Mirissa, Dewmini Roti Shop offers a wide array of tasty Sri Lankan fare such as traditional breakfast dishes, roti, kottus, dhal, curries and devilled chicken. 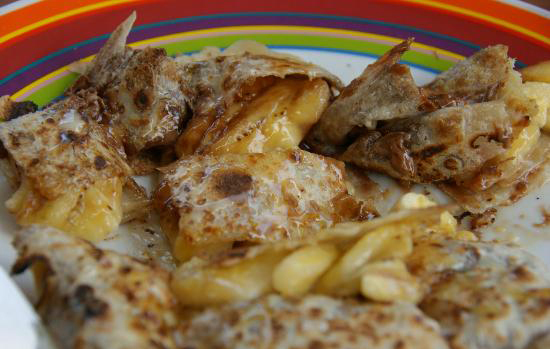 Be sure to try decadent treats on the menu such as the popular chocolate and banana roti, as well as the chocolate and peanut butter roti. Our World Mirissa, a popular food haunt along the beach, serves as a convenient spot for beach goers to grab local Sri Lankan snacks and beverages. Diners are drawn to the tasty food, affordable prices and friendly service at the eatery. Located in the grounds of the Latheena Resort Guest House, Fujisan Restaurant is the perfect place for travellers keen on feasting on international cuisine – the experienced chef can whip up Italian, Japanese, Mexican, Eastern European and North Western Chinese dishes. Diners have given rave reviews of the Mexican food at Fujisan, remarking that the guacamole is ‘to die for’. Do not leave the restaurant without ordering a serving of chicken burritos, for we have been told that they are exceptionally tasty! 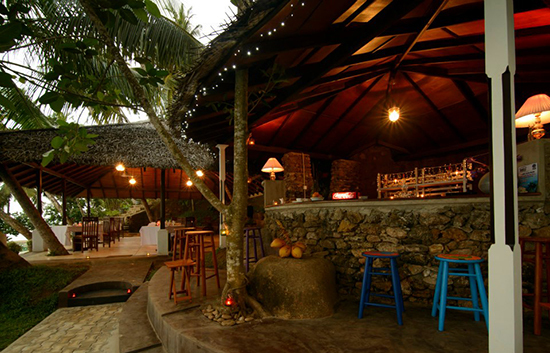 Villa travellers seeking a night of fun and conversation, accompanied by delicious food and chilled beers in a casual, relaxed setting will not be disappointed by a visit to Sunshine Beach Bar and Restaurant. Villa Pointe Sud will not fail to captivate all villa travellers who traverse and stay within its grounds. First, the villa charms with its beautiful Palladian design, well-maintained for a duration of more than thirty years. 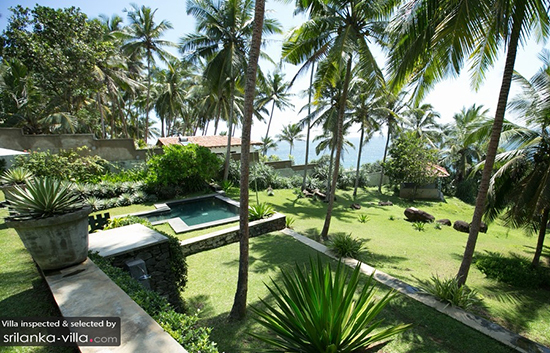 Secondly, it occupies an excellent location, nestled high up on the hill between Mirissa and Matara, and offers guests with direct access to a tranquil and secluded beach. 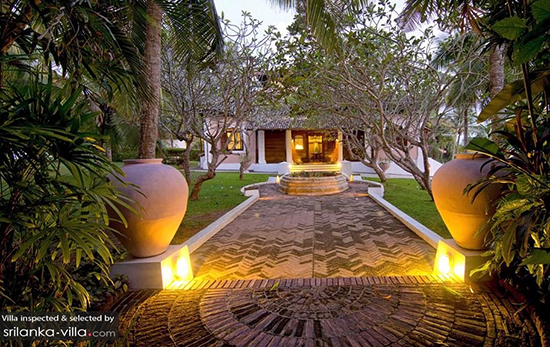 Lastly, the villa has beautiful, sprawling gardens that serves as a perfect spot for relaxing and strolling about in. Siri Wedamadura Villa sits in the quiet, rustic village of Mirissa. It is the perfect abode for villa travellers with a love for nature and exploring the outdoors, as pristine, sandy beaches and surfing coasts are located a short drive away. 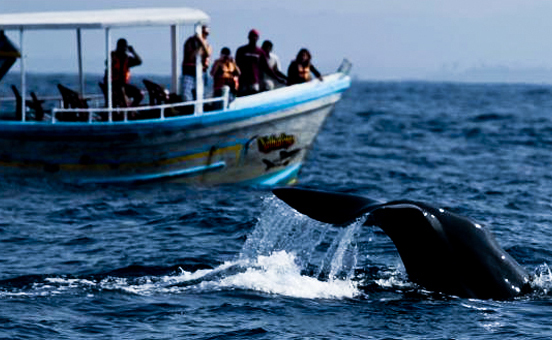 In addition, travellers can embark on stunning coastal cruises and whale watching trips. Step indoors, and you will find that the villa boasts a soothing and calming vibe. Light wood furnishings and neutral colours feature heavily in the interiors of the villa, and will greatly appeal to travellers with a taste for cosy and minimalist designs. Look out from Watajeiya House, and you will be wowed by the magnificent view that unfolds before your eyes. It is difficult to tear your eyes away from the mersmerising sight of the rugged coastline that the villa offers. The villa occupies an excellent spot, with its well-maintained garden extending out to hug the shores. Lucky guests at the villa can take a quick five minutes’ stroll to the beautiful beach at any time of the day. Water sports enthusiasts will be glad to discover that the waves are excellent for surfing. The Sri Sharavi Beach Villas offers travellers with a taste of luxury along the sweeping beaches at Mirissa. It provides plenty of services and amenities that will not fail to impress villa guests. The villa contains an in-house spa that provides a private spot for guests in need of a therapeutic massage. In addition, guests gain access to a wine cellar and lounge boasting an extensive collection of wines from all around the world. As the evening beckons, order a decadent dinner, painstakingly prepared by the in-house chef, and pair the meal up with an excellent wine. 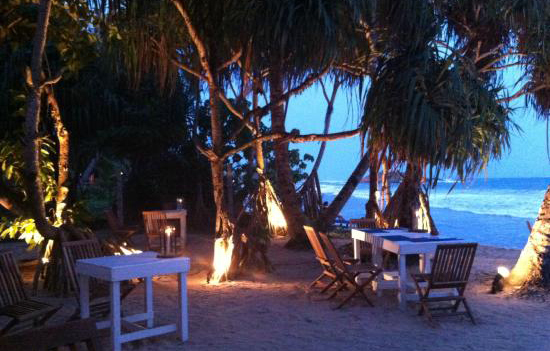 At the end of your meal, step out onto the beach beach and marvel at the beauty of Sri Lanka’ coasts. 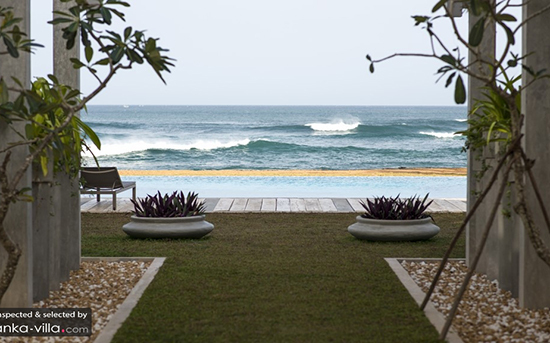 Take a look at our villas in Mirissa!